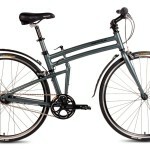 A good starter bike for somebody that has never owned a folding bike in the past. This Schwinn Loop 7-Speed Review will focus on the bike’s features, specifications, pros and cons, whilst also giving a background into the Schwinn brand and finally an overall conclusion of our opinion of the bike. 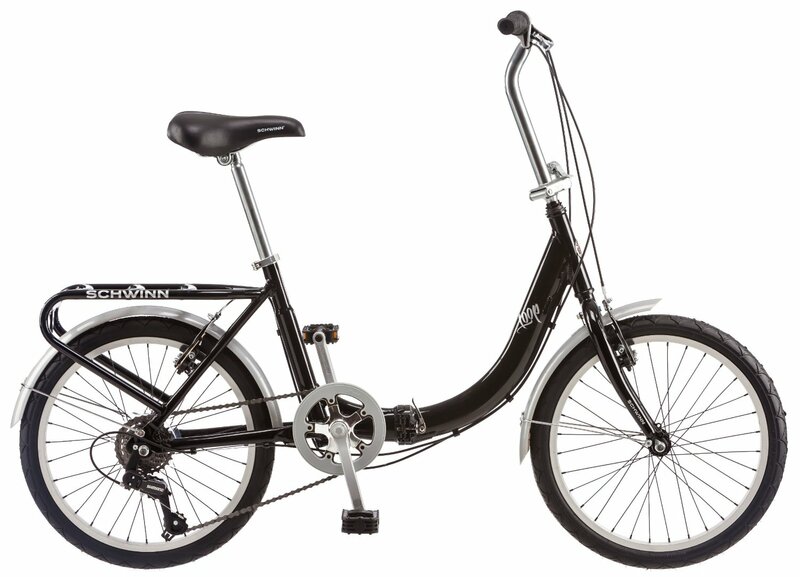 If you too own the Schwinn Loop 7-Speed, please do let us know what you think about this folding bike in the comments section below. 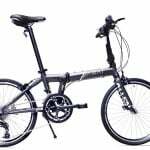 The Schwinn Loop 7-Speed folding bike is popular among the folding bike community and to those looking for a cheap bike, as it is known for being a relatively inexpensive but quality bike. Firstly, let’s begin with a background into Schwinn. The company was established in 1895 by Ignaz Schwinn who originated from Germany, and after relocating to America began developing Schwinn Bicycles. Since the companies’ creation it has steadily taken over a large proportion of the bicycle and fitness market thanks to their commitment towards ensuring quality and providing new and innovative bikes with enhanced functionality for a wide range of users. 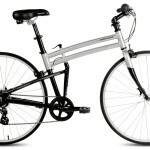 What is the best folding bike? 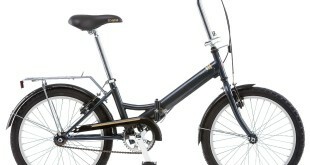 Currently the Schwinn Loop is rank #4 in our detailed list of all the Best Folding Bike Reviews. 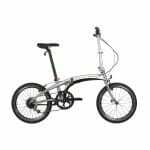 The Schwinn Loop 7-Speed folding bike is popular among the folding bike community and to those looking for a cheap bike, as it is known for being a relatively inexpensive but quality bike. The Loop itself has been designed to be an ideal method of efficiently travelling into work and even just travelling around your local area. Furthermore, the Loops folding mechanism is among the highest quality of folding bikes you can buy within its price range. However, though the Loop 7-Speed comes with many benefits, it does lack some features on more expensive folding bike ranges. 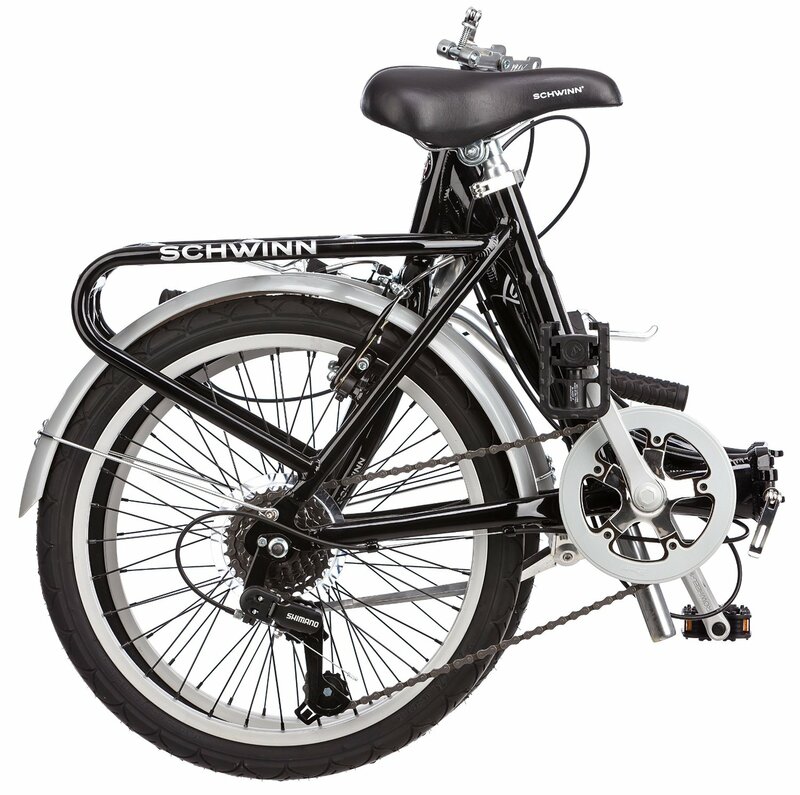 As you can see from the above video, the Schwinn Loop 7-Speed is not the smallest of folding bikes on the market, in fact it can indeed be relatively bulky to carry compared to the more premium models around. However, its simple folding mechanism enables it to be easily put away without too much effort. This test ride perfectly identifies the pros and cons of the Schwinn Loop 7-Speed, it functions as an entry level folding bike should. 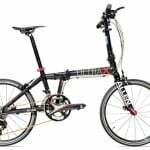 The bike lacks some features that some of the more premium bikes boast, however it enables those looking for a cheap folding bike a potential avenue to try them out without breaking the bank. Expect a well built bike that will do what is required and little more. To conclude this Schwinn Loop 7-Speed Review, I will highlight and compare some of its more positive and negative features. 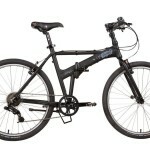 To begin with, the Loop 7-Speed has a well-designed and sturdy frame. Although, the bike is not as flexible as other folding bikes due to its weight and bulkiness and there isn’t a locking mechanism once it has been folded away. 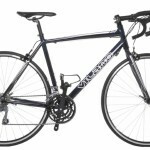 I do believe for this price that this bike is an excellent choice since you still have the great features listed above. The Schwinn Loop is one of the cheapest folding bikes around and despite its downfalls, it is still a truly fantastic budget folding bike. 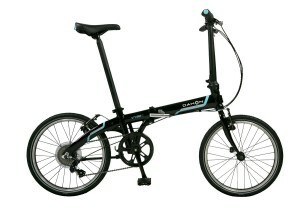 This bike remains as one of the most popular cheap folding bikes on the market, and for good reason. Thank you for reading my Schwinn Loop 7-Speed review, I hope I have clearly outlined all of my thoughts about this budget level folding bike. If not then please go ahead and read further – click here to read more customer reviews. Thanks for taking the time to write the review, it’s been of great help. I was wondering whether you could help me though, I’m thinking of getting a folding bike to commute to work (perhaps the schwinn loop) but I’m worried that the schwinn loop might be too heavy for a daily commute and might not be the most suitable bike for the task? I like how it looks and it’s apparently very strong. Do you think it would be a good option or would you recommend something else?